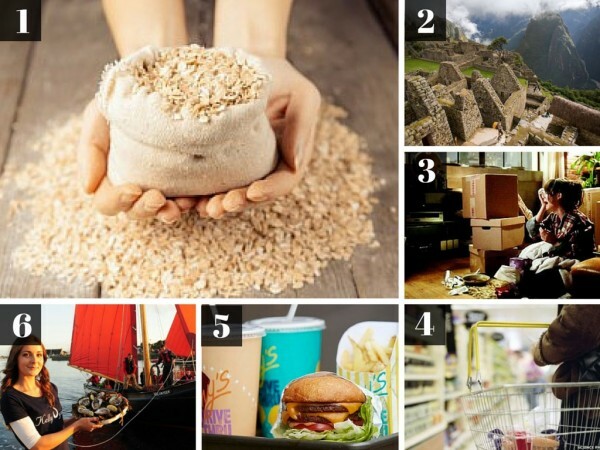 Interesting gluten free and travel news from around the web in July. Camping is one of my favourite summer pastimes. Canoing, jumping in the lake, frisbee, campfires, seeing the stars, and playing cards. It’s all so relaxing. Ok well it takes a ton of planning and packing to actually get camping, but after you set up your gear, it’s relaxing. Actually, I find camping one of (if not THE best) way for me to relax and wind down. There’s no wifi or cell reception, so don’t even think about working or social media or aimlessly surfing the Internet. Plus, there’s no TV. It’s all relaxation. I find I get much better sleep and am more active while camping too. 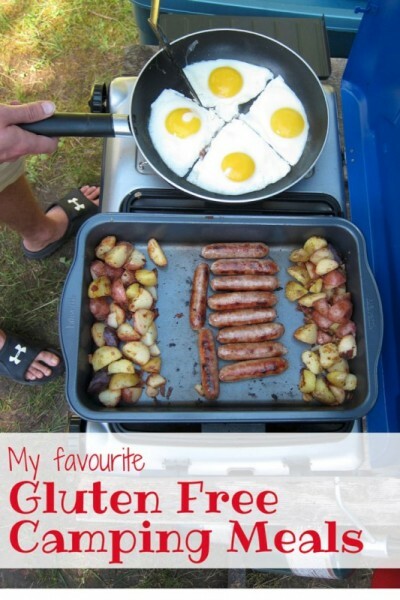 Camping gluten free is easy. As long as you plan ahead. Two years ago I wrote down some gluten free camping ideas, but now I’ve compiled a more comprehensive list of my favourite gluten free camping foods, organized by meal. 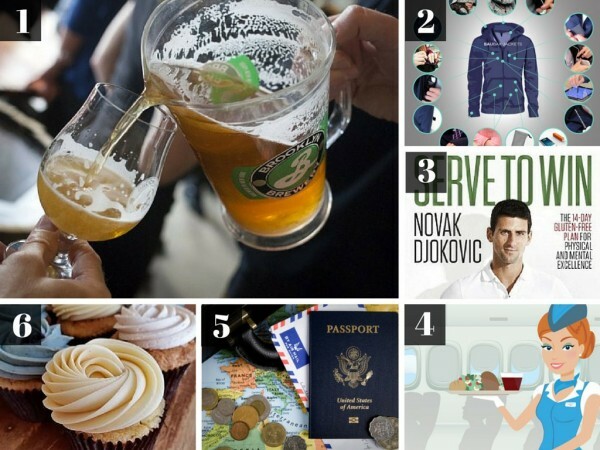 Interesting gluten free and travel news from around the web in June. Too rushed in the morning to eat breakfast? 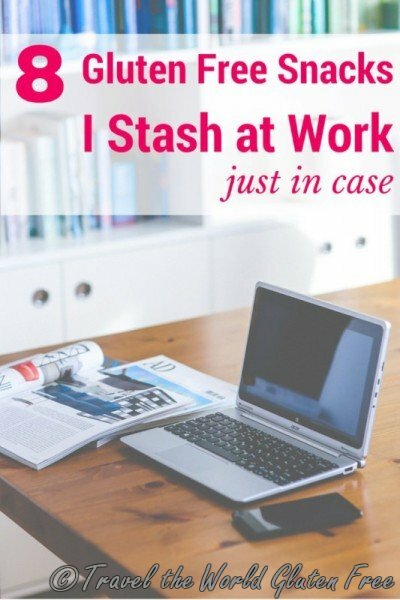 Too busy to prepare a packed lunch for work? Does this sound familiar? I’d bet that’s a regular occurrence for many people. But for most, they can grab a bagel on the way to work or head to a cafe to pick up lunch. Unfortunately, that’s not the case for me, or for others with Celiac Disease or gluten intolerance. While it’s becoming easier to eat dinner out, the chances of a gluten free bakery being on your way to work is quite rare, let alone a fast food joint with healthy, gluten free options. No, for us, we must rely on being prepared. If we don’t bring a filling breakfast or lunch, it might mean being hungry, tired, and cranky for the rest of the day. So what should we do on those days when we’re too busy to eat breakfast before jetting off to work? Be prepared and have a backup! That’s right, have a stash of food already at work. Here are the eight gluten free snacks that I keep stashed in my desk at work just in case. We spent last weekend visiting our dear friends in the suburbs outside of Ottawa. During our visit, we ventured into the nation’s capital to do some shopping and go out for lunch at Pub Italia. 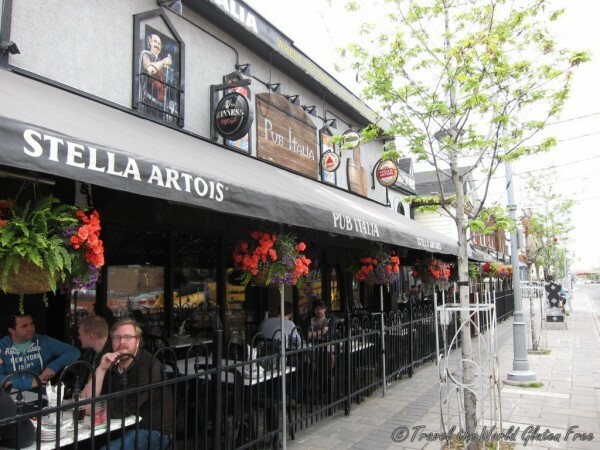 Pub Italia is located in Ottawa’s Little Italy. It’s a cross between an Italian trattoria and an Irish pub. That means casual Italian food with an extensive beer bible, and menu items like Irish nachos. For Mother’s Day we took our mom and grandmother out for brunch to Smith in the Church Wellesley Village. Smith is a staple brunch spot in the area. It’s a lovely restaurant with beautiful décor details, such as antique umbrella holders, cute wallpaper, and a pretty mismatch of plates and coffee cups. The staff was very friendly and made such a thoughtful gesture by presenting each mother with potted daffodils. Cavallo Nero has a decent sized dining room with nice décor. We had a great round table in our own little area which provided the opportunity for conversation that everyone could hear and follow. Too often you go out for dinner and can barely hear the conversation across the table. 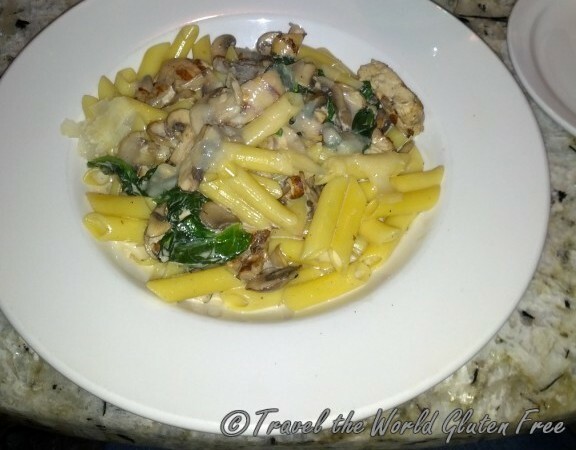 I had the Wild Mushroom Chicken served with gluten free penne. The pasta dish was comprised of field mushrooms, spinach, and chicken breast with a white wine cream sauce. The mushrooms tasted quite good, but overall it was somewhat average. It tasted more like pasta in mushroom soup, and my bowl was pretty full of liquid. The sauce really didn’t coat or stick to the pasta. 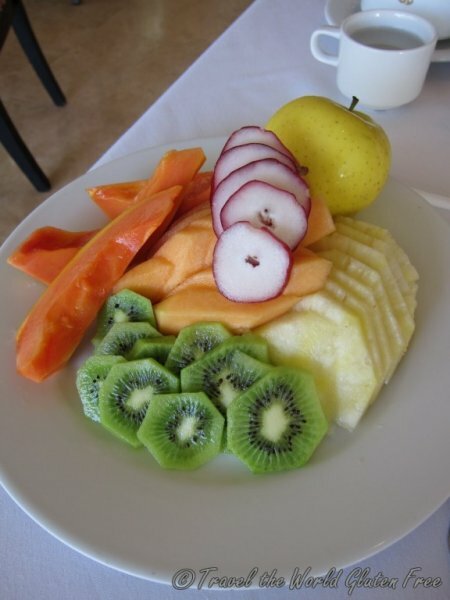 I really can’t say enough positive things about raw desserts. They are naturally gluten free, soy free, gum free, and oh so delightful. I’ve been a fan of them since living in Port Credit where I was a frequent visitor to Raw Aura. It’s such a treat to be able to pick out anything from the dessert case. One raw chain with several convenient locations across Ontario is Rawlicious. 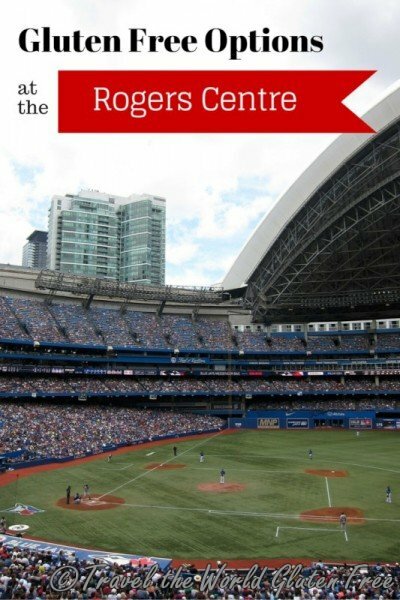 I’ve visited a few of its locations – Yorkville, Bloor West, and Barrie. 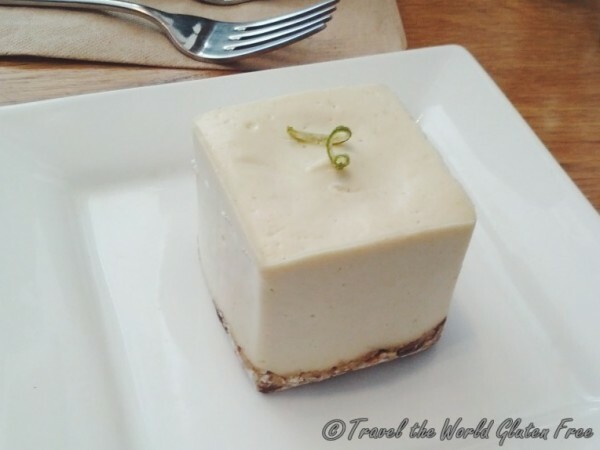 Recently we had a family celebration in Barrie, Ontario and it was such a lovely indulgence to stop at Rawlicious in downtown Barrie to pick up a raw Key Lime Square for me and my cousin so that we could partake in the ‘birthday cake’ celebration in our own allergy/intolerance-free way.